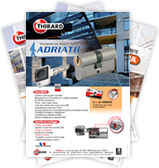 Thirard is an independent family-run company. 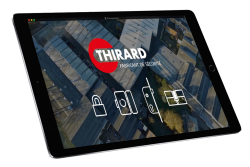 Founded by Fernand Thirard in 1920, the company is based in Fressenneville, in the heart of Vimeu industrial area, in the Somme department of France. Traditionally, the region specialises in Locksmithing, valves and the casting of small parts. Each village had its specialty and many of the “factories” used in the last century have transformed over the decades into modern and innovative plants.Today, with more than 300 employees, covering over 17500m2, increasingly efficient production means that Thirard continues to expand and reach to the top ranks of French manufacturing. – From 1965, the manufacturing of brass padlocks began, in response to high quality demands. – In 1975, the company diversified into the manufacture of safety locks. – In 1985, the company produced its first Thirard locks and eventually established a department “flowchart”. 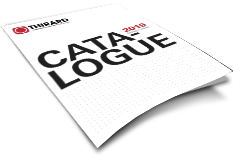 Since then, Thirard have covered every area of security: Locks and latches with A2P mark approval, applies locks, cylinder rods and fittings for doors, door handles, safes (standard EN 14450) equipped with top class 1300 lock that was introduced to the market. Having their products classified A2P or NF CE demonstrates the reliability and rigor brought to their achievement.